Coming up on this show, we discuss three part rage, another change of attitude and several surprising top threes. It was a packed race so naturally we have a packed podcast full of discussion about the top three on the podium in Baku, and many of the events that allowed them to get there. We talk about Vettel and Hamilton's incident, the merits of Lance Stroll being near the top and Jolyon Palmer being at the bottom, as well as the woes of Sauber and Force India. There's also time for a discussion about Ricciardo's race win compared to Verstappen's disappointing early exit, as well as a positive message for everyone to take on board. 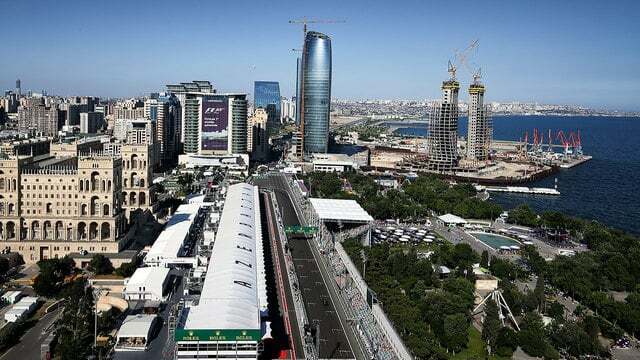 We hear from Lukeh, Steven, Pat and Rob and encourage you to let us know your thoughts about the events in Baku as well as any other important F1 matters. F1 Debrief - Stop asking me questions!